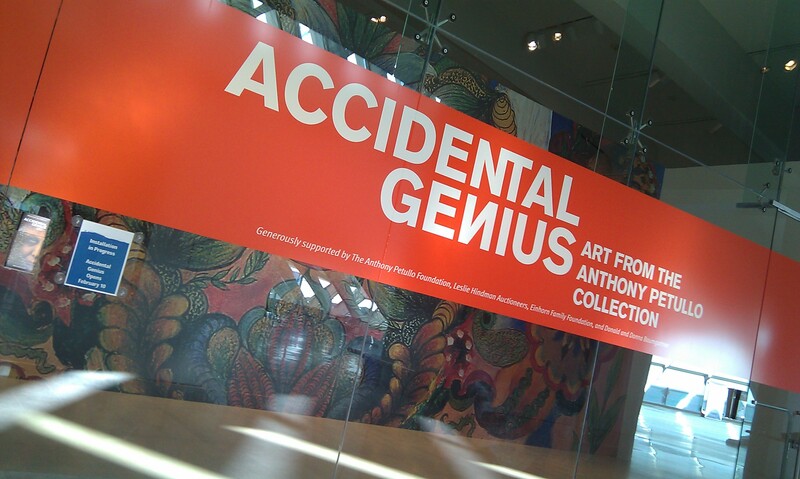 The groundhog may have seen his shadow, but the Museum is jumping full steam into spring with its new exhibition, Accidental Genius: Art from the Anthony Petullo Collection. Containing 200 works of modern and contemporary self-taught art from some of the world’s greatest self-taught artists, the exhibition has opened to rave reviews and much praise, and is on view thanks to the generosity of its collector and donor, Anthony Petullo. To celebrate the exhibition, the Museum has a variety of programs and Gallery Talks scheduled, as well as panel discussions, dance performances, and a special MAM After Dark. Also this month, be sure to include the entire family for Play Date with Art (Friday, February 17) and the grand opening of the Kohl’s Education Center (February 25 and 26). Don’t forget, kids age 12 and under are free every day at the Museum. Finally, the Museum is continuing its popular One-Hour Exhibition series in the Herzfeld Center on Tuesday, February 21 (1:30 p.m.) and Thursday, February 23 (5 p.m.). Don’t miss it! Stay tuned for more exciting events at the Museum, including the upcoming Art in Bloom event, March 29 through April 1. This entry was posted in Art, Events, Exhibitions and tagged Accidental Genius, Art in Bloom, Exhibitions, Kohl's Art Generation, News. Bookmark the permalink.